This week I am so excited to share with you a new discovery I was lucky enough to try through The Bloggers Hub! 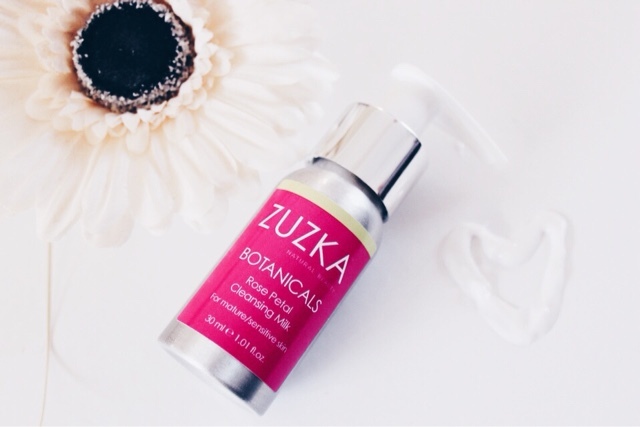 Before spotting this brand in the gifting area, I had never come across the brand Zuzka and it intrigued me with the idea of natural beauty. I am a massive skincare fan, and in recent times I must admit that I am becoming a bigger fan of skincare products than I actually am of makeup (but shh I didn’t tell you that!) As I am getting older, I have become a hoarder of moisturiser, serums and every other skincare product inbetween, happily filling drawers with more products than any person can put on their face at any one time. I wanted to try this cleanser for a few weeks, because I wanted to give a fully honest opinion on how it made my skin look and feel. I don’t want to be the kind of blogger that opens a product, tries it on my faces and tells you it’s great without even a second glance, this isn’t a first look at a product, it’s a tried and tested review. 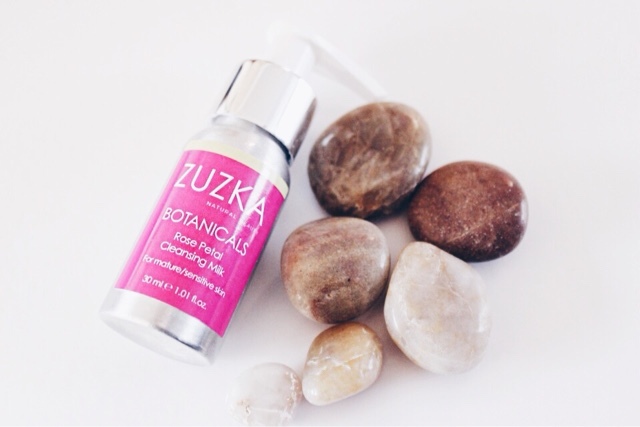 If you want to know a little bit about Zuzka as a brand, then let me fill you in a little. Susan Kohutova is a qualified beauty specialist and registered herbalist, who saw a need for a range of products for extremely sensitive and allergy prone skin. I myself suffer from extremely dry skin at times and so the idea of a product that would soothe my skin was perfect. The product I was sent was the Rose Petal Cleansing Milk which is a light textured skin conditioning cleanser & makeup remover. It contains organic rose essential oils and is super soothing to the skin. My verdict on this little beauty is that I am in love. I don’t often like to shout about a product, but this is a serious game changer. I have received a lot of compliments about my skin in the last week or so and I’ve been that confident that I’ve happily gone makeup free without any worries at all. I think I’ll definitely have to pick up a full set when I next have some money to treat myself! I'm on the look out for a new cleanser and this sounds amazing!